If you think about comics, images of spandex, capes, and superheroes are sure to pop up into one’s consciousness. The general populace considered comics to be kids fair, but with the high-profile comic to screen adaptations like The Walking Dead have shined attention on how many non-tradition comics there are to be consumed. Many of these works of art venture far past the standard heroes and villains motif and dare to mix the world of fantasy with that of reality. Creating new worlds that highlight the human condition in the most extraordinary and fantastic circumstances to the most mundane. Here are a few books that will expand your literary repertoire. 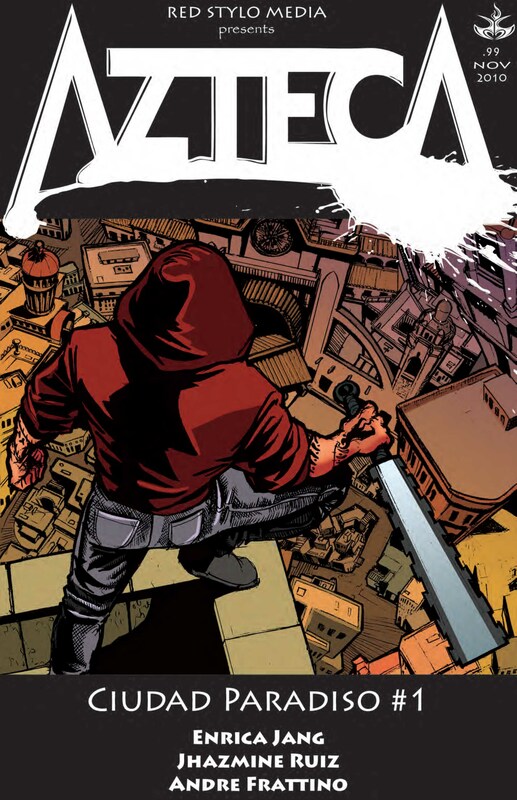 Published by Red Stylo media, Azteca is a story set in present-day Mexico, about a vigilante killer, Nicho, who believes he can succeed where the Aztecs failed and stop the world from ending in 2012. The Aztecs got it wrong. Instead of sacrificing innocent human victims, Nicho hunts evil men and other criminals in Mexico, murdering a new one each month in ritualistic human sacrifice corresponding to the ancient Aztecan calendar. Nicho’s beliefs are a mix of Catholic mysticism and ancient Aztecan lore, but his ultimate motivation is to find and kill the man who controls the most ruthless gang on the northern Mexican border: the leader of the Cárdenas drug cartel, El Serpiente. This is a hard-core story of vigilante justice and magical realism–think _Dexter_ meets Garcia Marquez. Azteca is currently on issue number 2. Issues can be purchased in select comic shops or at Azteca2012.com. Checkout Azteca writer Enrica Jang with The Next Issue crew at Wizard World Philly here. Close your eyes and imagine with me for a moment. It is a chill day, your girl/wife/significant other is doing the laundry. They pick up your pants, empty out your pockets, and finds that an open condom wrapper spills out of your wallet. This is where the madness begins with The Dog Years. The story follows Trey’s adventures as he deals with the repercussions of his break-up with Jalissa, his finding “comfort” (and a place to stay) with his best friend Rasheed. What ensues is a comical tale of “Bros before Hoes”, love lost, and Milk doing a body really good. 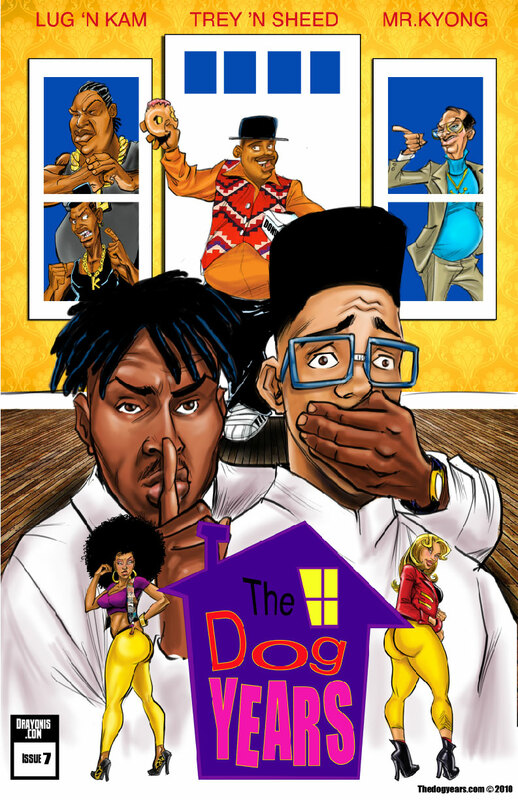 The Dog Years was created by Drayonis, who currently has the first eight issues of The Dog Years available for free on TheDogYears.com. A trade paperback of the series can also be purchased on the site. The Bard is constantly looked upon as simply one who has brought humanity some of the greatest plays in history. Iconic characters such as Romeo, Juliet, Hamlet, Othello, and Iago dot our literary consciousness even some 500 years after his death. What if Shakespeare was more than just a mere playwright? What if the characters of his iambic pentameter were real and searching for the wizard known as Shakespeare? This is the premise for Kill Shakespeare. In this dark tale, the Bard’s most famous heroes embark upon a journey to discover a long-lost soul. Hamlet, Juliet, Othello, Falstaff, Romeo and Puck search for a reclusive wizard William Shakespeare who may have the ability to assist them in their battle against the evil forces led by the villains Richard III, Lady Macbeth and Iago. 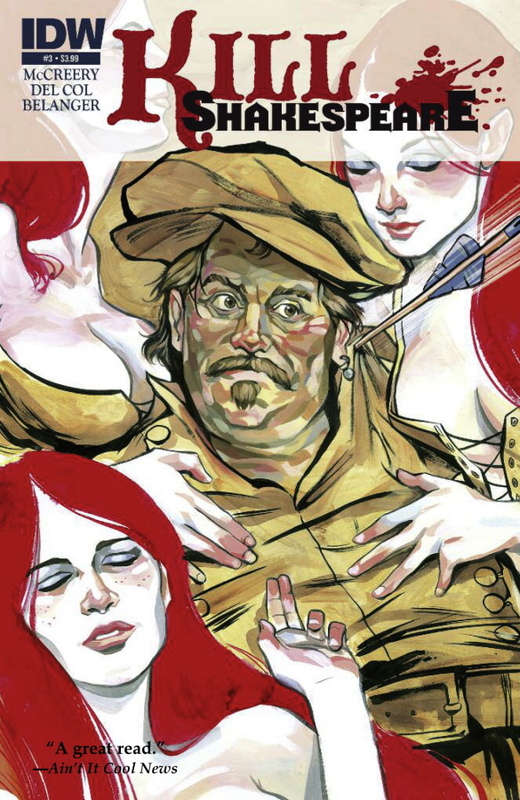 Created by Anthony Del Col & Connor McCreery and published by IDW, Kill Shakespeare is currently on issue 12, but issues 1-6 have been collected in the trade paperback entitled Kill Shakespeare Vol 1: A Sea of Troubles. For more information about the thought creators’ thought process behind Kill Shakespeare, then listen to The Next Issue’s interview with Connor McCreery here.